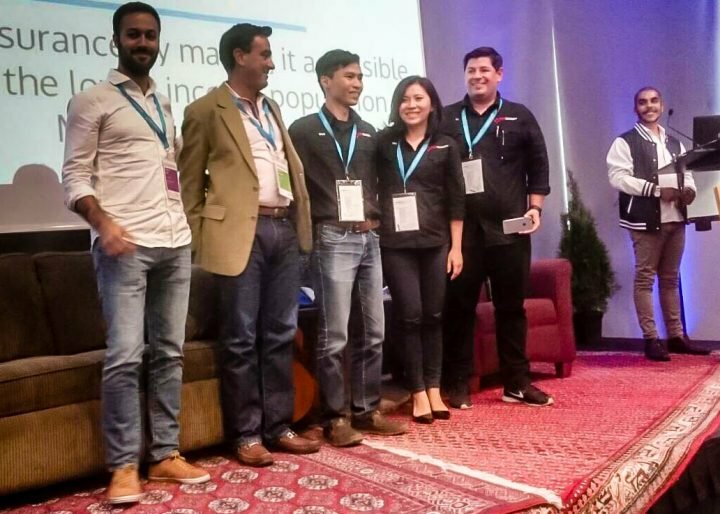 Redoxigen is our incredible winner of Seedstars Panama 2016 and participated in Seedstars Summit 2017. Less than a year after the Summit, Redoxigen raised $1 million in a seed round to expand its business. As we always keep an eye on our alumni at Seedstars, we wanted to come back on this amazing success story! Min Chen, the co-founder and CEO, was happy to answer our questions. Seedstars: Hi Min! Could you describe in a few lines Redoxigen’s service and how it impacts positively the emerging markets? Min Chen: At Redoxigen, we created Interfase, an augmented reality platform to crowdsource data in the real world for a wide range of industries, such as retail, infrastructure, and entertainment. Interfase apps provide users with fun, rewards, and prizes while they help collect information. We aim to solve the problem of data collection in the physical environment where it is cost-prohibitive for a single company or organisation to do so. The lack of complete, up-to-date and accurate information on important economic and social issues are common challenges in emerging economies that hinder their competitiveness. Our mission is to help close the digital gap in these economies by digitising their markets through the power of the masses and advanced technology that does not require any technical implementation. S: Could you quickly explain your business model for our readers? MC: Interfase encompasses a set of gamified apps to collect data in the real world. Interfase users have fun, meet people, and win prizes while they help collect data. The collective data serves our clients, such as companies, government entities, and ONGs who use this information for decision making. Data is collected continuously and quickly through this crowdsourcing model. The combination of being fast and being able to analyse meaningful information is what distinguishes us. S: As a relevant stakeholder of Panama’s entrepreneurial ecosystem, what do you think of it? MC: Entrepreneurship has been acknowledged by public, private, and academic entities as a necessity for Panama’s global competitiveness. Many initiatives have been launched by influential people and entities to support entrepreneurs. Awareness is being raised about the need for profound changes in the existing legal, financial, and educational system to enable a thriving entrepreneurial ecosystem. However, there are still many milestones to achieve, but I am hopeful that Panama is moving in the right direction. S: Congratulations for your recent $1million fundraising! What are your plans regarding that fundraising and do you think participating in Seedstars World Competition helped? The funds we raised at Seed Round are being used to expand Interfase in the Americas and prepare for the next round of funding within 2018 in Silicon Valley. Our participation at SSW was an important milestone. 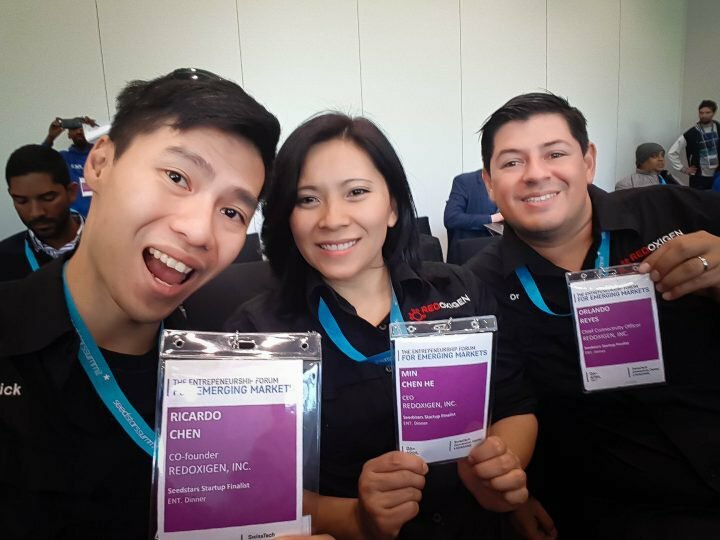 National media gave us extensive coverage due to the fact that we were chosen as the best startup in Seedstars Panama 2016 and were representing the country at SSW in 2017. What we value the most is the feedback from mentors during SSW in Switzerland because it strengthened our business model and helped us understand more applications for Interfase. 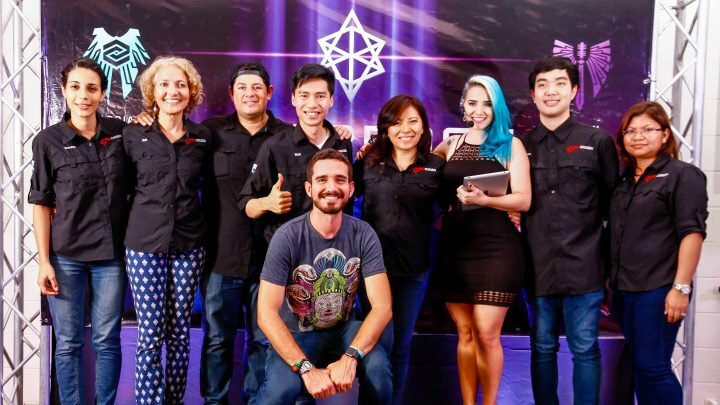 Winning the ViaGlobal prize as the startup with most potential to expand in the Americas helped us build trust that led us to become the first Panamanian startup to raise over $1 MM in Seed Round. S: How do you see the future of Redoxigen and what objectives do you have for the next few years? MC: We envision REDOXIGEN as a global company that creates inclusion by closing the digital gap between emerging and developed economies. Most importantly, we believe that a world where anybody is allowed to contribute is a better one. In the next few years, the focus is on developing our community of users in the Americas and expanding to Silicon Valley. We are currently developing market entry strategies and finding strong allies for several international markets. We have also incorporated our company in the United States and will start operating in San Francisco, CA soon. In the midterm, we plan to expand to Asia with regional operations in China, my native country. S: Any news to announce for 2018? A revamp of Interfase VENN will be launched to cater to the international market. Venn is an augmented reality sci-fi game that provides fun, rewards, and prizes for its users who help collect information about brick-and-mortar stores. Interfase CITY will be launched in February to collect information about urban issues such as potholes, illegal dumpsters, and crime zones. This app empowers citizens to collectively raise their voices towards important issues and to organise themselves for social causes. Interfase REVIVE will be piloted in Puerto Rico to help rebuild the region by having volunteers and citizens report the status quo of needs and relief efforts. REVIVE is a tool to gather and analyze information for disaster relief efforts. Want to discover the startups that will make 2018 success stories? Join us at Seedstars Summit 2018!